Wendy Stefansson. Paper Bag. 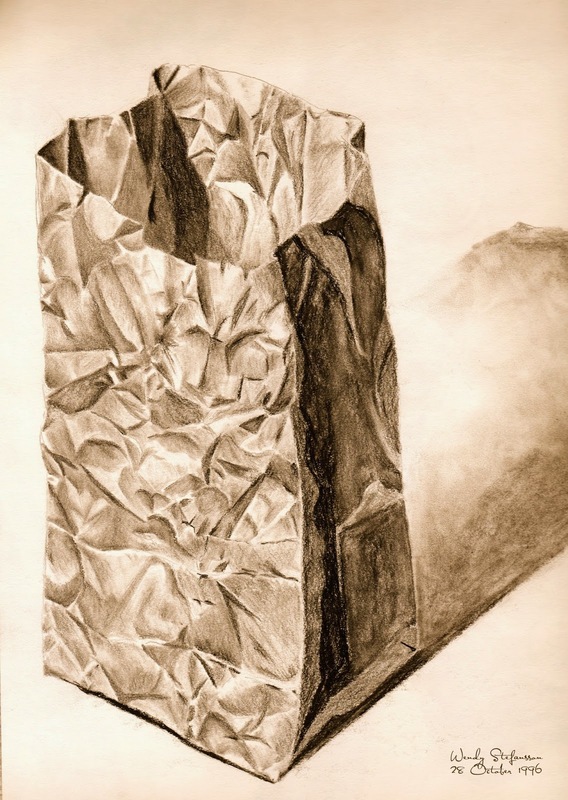 Charcoal on paper (sepia toned after scanning), 1996.